The 2015 Dodge Durango is very stylish, cozy, and popular, and a great buy for those looking for SUVs. For 2015, more has been added to the outside of the vehicle to improve its' overall appearance. The vehicle has greater horsepower than ever before. The SUVs are more technologically-advanced; they now have LED headlamps and 8.4-inch touchscreens. The 2015 Dodge Durango has a 3.6L Pentastar® V6 engine that makes the SUV run beautifully. The SUV runs up to 25 miles to the gallon on the highway. A 24.6-gallon fuel tank allows the driver to travel up to 600 miles on the highway without forcing the driver to stop and get gas; instead, they can keep cruising to their destination. Another engine option the 5.7L HEMI® V8 engine, also great on gas at 23 MPG with Fuel Saver Technology. These vehicles have eight-speed automatic transmissions. It easy to be satisfied with the 2015 Dodge Durango's design. The interior contains seven seats--either comfortable cloth seats or quality leather ones--and a sound system bound to meet your needs. The LED headlamps and automatic high beams help the driver to their destination on the dark roads and nights. Heated windows keep occupants warm on the cold days and nights. There are various materials and colors for the driver to choose from to make their driving experience unique. A Uconnect® system allows for 3-D maps, and WiFi is available through a subscription. There are various 18 and 20-inch wheels to choose from. With the 2015 Dodge Durango's safety and security features, you will feel positive about protection within the vehicle. Adaptive Cruise Control (ACC) is available to recognize vehicles ahead, and will cause a speed reduction and potentially come to a complete stop without the driver intervening. The ParkSense® Rear Park Assist System has a camera that shows the back of the car's view on the 8.4-inch touch screen to aid the driver in backing up, and this feature also forewarns the driver of possible risk by proceeding to back up. 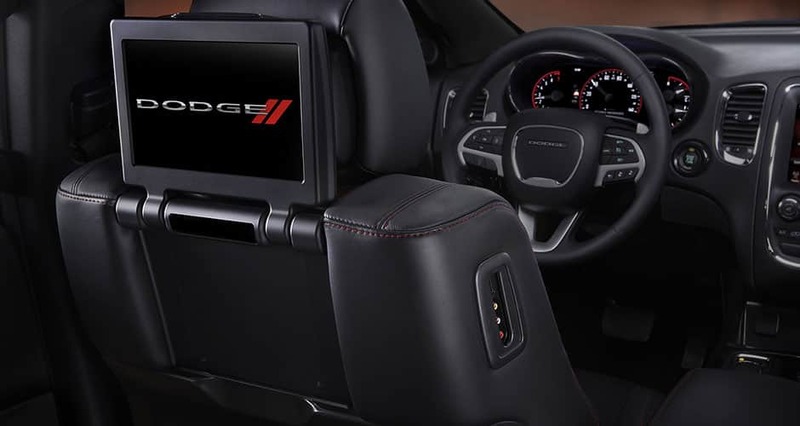 If these features suit you, then you may be very happy with the 2015 Dodge Durango.